With a return to summer just before the championship season, Derryfield School’s Cougar Classic got off to a hot start with Portsmouth Christian’s Liza Corso blasting off the start line. Looking to leave no one in her wake, Corso pushed the pace solo to a very fast 20:31 on the newly renovated, hilly course. Intent to chase in the early going Mascenic’s Quinn Aldrich ended up in a bit of no man’s land, but was able to hold onto second, almost three minutes down on Corso. Newmarket’s Isabel Pentony led PCA’s Lily Kjendal and held off a fast closing Sophie Callahan of Mascenic to round out the top five. The men’s race was a little more subdued to start, with Mascenic’s top seven willing to roll with the front of the race. 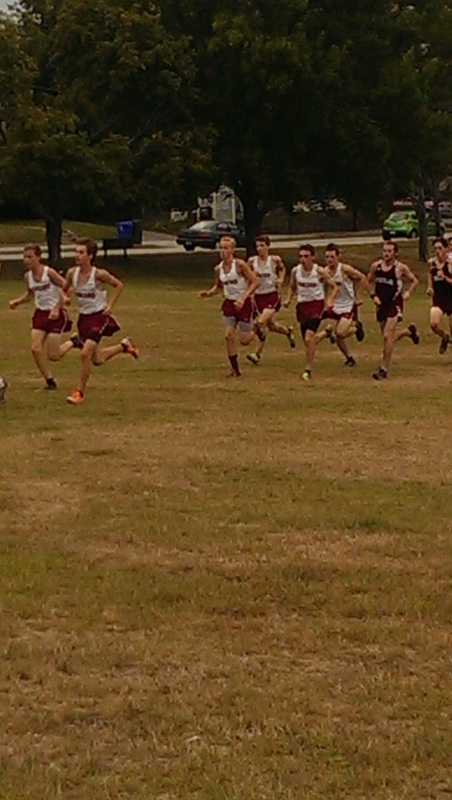 Early on PCA’s David Brackett held the front with Derryfield’s Matt Michaud and Eric Chapdelaine, followed by Landen Vaillancourt, Logan Thibault, Connor Traffie, Robert McLain, Josh Movsessian and Zack Allen of Mascenic. Things started to heat up and stretch out after the halfway point with Vaillancourt and Thibault leaning on the pace a bit, with the rest of the Mascenic boys going single file. By the two mile mark, the top two began to separate and the race was on to see who was going to finish as Mascenic’s #1. In the end Vaillancourt secured the win in 18:27, showing why he’s one of D3’s best. Thibault would be the next in 14 seconds down. Mascenic would have the next three in with the order going Traffie, McLain and Movsessian to round out the top five. The girls team race would prove to be close, with all four scoring teams within eleven points of each other. Mascenic would squeak this one out by a single point over Newmarket, 48 to 49. PCA would be eight points back in 57 with Derryfield one point behind in 58. The boys race wouldn’t be that close with Mascenic perfect scoring with 15 points. Next in was Newmarket with 70 points, followed by Derryfield with 90 points.